At Urban Beauty we want to help you achieve a beautiful wedding and we’ll go that extra mile to make sure your every need is catered for. Not only do we offer wedding hair and bridal make-up packages tailored to your every need, we also offer the wedding party, friends and family a discounted pamper party to make you all look your absolute best before your big day. This can include facials running up to the wedding to make sure you have perfect skin, manicures, pedicures plus acrylic or gel nails. Or…you can create you own fun package to suit your friends and families needs. What ever you want we will make sure you are well looked after, ready for your special day ahead. Available through the day or evenings. Come down with your girls, a bottle of fizz and lets have some fun! We are happy to travel to your venue or you can come into the salon, which ever you prefer. No matter how small or large your wedding party, the team of wedding stylists are on hand for your every need. We want you to feel comfortable on the day and will make sure you are happy with your overall look so we do specify that the bride must have a hair and make up trial before the event. In the trial we are happy to spend as long as needed trying different colours, tones and textures making sure your happy and comfortable with your wedding look. On the wedding morning you will be 100% happy and can enjoy a glass of bubbly while being pampered. Please be aware,wedding season is now all year round and we do get busy, so don’t leave it until the last minute. “I recently got married and like any bride-to-be wanted to look and feel absolutely amazing on my wedding day! The girls at Urban Beauty not only brought out my good side from every angle, we also had an absolute scream in the process. They just understood exactly what I wanted and took on board all my comments. I can not recommend these girls enough. If you want to look and feel like a superstar while having a good giggle in a stress-free environment you Definitely need to give Urban Beauty a call. “I booked Kat (make up) and Carla (hair) for myself and my bridesmaids and they were the ultimate professionals. At the trials they took time to make sure that I was happy and there time keeping was impeccable. 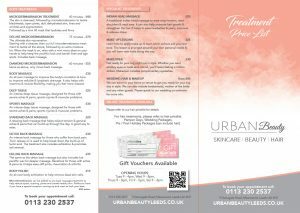 “How do I choose the right words to express how incredible the team are at Urban Beauty? I cannot rate them highly enough! Right from my first hair and make up trial, they understood what I wanted (probably even more than I did!) and made it a reality with such talent and attention to detail. It was all so much fun and they took the stress out of such an important part of the wedding preparations, making me feel so special throughout the whole process. I’m so glad I chose the team at Urban Beauty and will always recommend them to any brides-to-be.